On a recent Google Webmaster Hangout, John Mueller gave tips on how to fix a home page ranking for a keyword phrase when an inner page is the better page. This is a problem of a home page outranking an inner page for a search term. This is a strange problem because presumably the home page, particularly on a blog, should feature limited amount of content from the inner pages. Although the person asking the question didn’t mention how much content from the inner pages is being shown, it could be that the article excerpt used on the home page is from the article itself and possibly too much of it is being used. Unless a custom excerpt is provided, many themes will automatically display the first few sentences from an article or even the entire article on the home page. This is a setting that you can control in WordPress. I find that it’s better to create a unique excerpt that describes what the article is about, thereby encouraging the site visitor to click through to the page. The excerpt can be crafted in the same way a meta description is, (description and a call to action) and you can even use it for your meta description if you like. The role that a custom crafted page excerpt plays for getting a user to visit a page is similar to that of the meta description. Google’s John Mueller explains how to rank web pages. In general, the home page should not be ranking for a very specific keyword phrase. If it does then that could mean that the home page is lacking in focus. John Mueller’s advice on making it clearer what the home page is about is good advice. The home page should in most cases be optimized for what the entire site is about. So if your site is about widgets, then the home page should be optimized to communicate that you sell all kinds of widgets. If the content is about a local industry, then the home page should clearly say it’s a Mexican Restaurant, that it’s a plumber in the San Francisco Bay Area, etc. Then let the inner pages carry the burden for menu in the case of a restaurant and garbage disposals in the case of a plumber. John Mueller went on to explain best practices for internal anchor text to help web pages rank. Anchor text are the words you use when you link from one page to another, what the user clicks on (like, click here). What that means is, rather than use non-descriptive words like “more info” or “read more,” it is better to use anchor text that is meaningful, that uses words that describe what the content is about. Of course, that’s hard to do in the context of a blog home page. But it can be done from within the content of other pages. “Additionally, of course the content, like I mentioned is really important. So, making sure you have clear titles on those pages, you use clear headings, you could structure content in a way that’s easily readable that’s in a way that is really clear that this is about this topic without… resorting to keyword stuffing. John Mueller then reiterated that repeating keywords “in all variations” is a 20 year old spam method that is outdated so don’t try it. Google is about ranking specific pages for a search query. Search queries that are specific about size or color tend to return product pages that are specific about size or color. Google seems to prefer ranking pages for detailed phrases, not home pages. If a home page is ranking instead of the inner page, then that could be a symptom that the site does not have enough useful links overall and that a majority of the links tend to go to the home page instead of inner pages. In my opinion, a weak link profile could work against inner pages to rank. 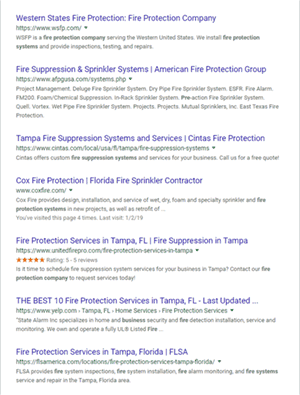 But the other factors discussed above related to the proper use of excerpts, good site architecture and a clear focus of what the home page is about can overcome a disadvantage from a weak link profile. Watch Google’s John Mueller answer how to rank an inner page.